When you hear the word ‘app’ your mind might immediately jump to social media and messaging services like Instagram, Snapchat, and WhatsApp. But mobile apps are not just good for personal use, they’re incredibly helpful for businesses too. 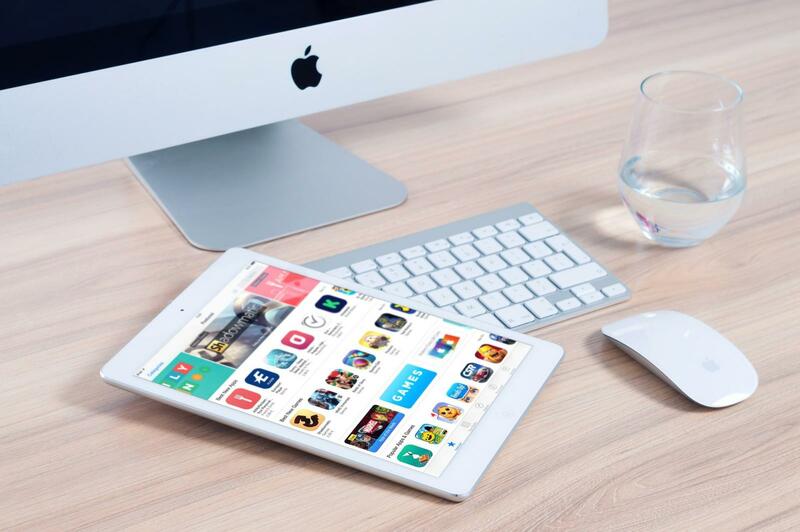 A recent report from Intuit QuickBooks discovered that approximately 71% of small business owners in the UK rely on mobile applications to run their company operations, removing levels of admin and supporting the growth of their business. However, not all apps are going to be worth your time. So, which apps are best for small businesses? We’ve put together this guide to some of the key apps to get you started; from those that will up your productivity, to those that will help you get a better work/life balance. As a personal information manager, the Microsoft Outlook app is an integral part of the Office suite and one that can benefit companies. Its primary use is as an email application, however, it also offers a calendar, contact manager, task manager, note taker, journal and a web browser. For email, Outlook has some top-notch features include its advanced filtering system, which declutters inboxes, and its incredibly detailed search option, which is there to ensure nothing gets lost in the pile. The Junk box can also be configured to blacklist domains and even entire countries if you feel the need! With over 400 million users worldwide this is one app you probably don’t want to miss out on. Evernote is a pretty nifty app, in that it allows you to record and save all your notes, thoughts, pictures, and more in the cloud. You can store all your notes on multiple devices, like your computer, tablet, and smartphone, or anywhere you have an internet connection and a browser. There’s also a browser extension, which allows you to save web pages in their entirety, or simplified versions, straight to the app. Notes can be stored in separate notebooks, tagged for easy finding, as well as given reminders, to-dos, and much more. Headspace is a popular meditation and mindfulness app that promises to give your mind the workout it needs to stay sane. Founded by a former Buddhist monk and his partner, researchers from UCL completed a study of Headspace in two major corporations and found that those who used it increased their well-being, reduced anxiety and depressive symptoms, increased their sleep health and even lowered their blood pressure. With a 10-day trial included, the app has a lot of different subscription models. Users can pay £7.95 for one month, £4.99 a month for a year, £3.74 per month for 2 years, or £249.85 forever. With your subscription, you get hundreds of hours of content organised into different collections which will suit a variety of different issues and situations. You can track your progress, get rewards for sticking to your goals and even make friends with other users. Because we all need a little more balance in our lives. Slack is a business chat application that boasts it is the ‘team communication for the 21st century’. Now with over three million users, it seems to be on track to live up to its own hype. Specifically made to help cut down on the number of emails sent internally by businesses, Slack cloud-based and allows you to message publicly to groups and privately to specific users. It syncs on your mobile and web desktop and can be used with apps such as Mail Chimp and Twitter, it’s a great app if you’re looking to cut down the amount of time that you spend email your team/s. Basically, it's the WhatsApp for business! This is pretty much the top email marketing software on the planet, and if you’re not using it (or any other email marketing software) yet, you should be! Mail Chimp is one of the easiest and yet advanced services around, and it’s especially good for start-ups. You can easily create appealing emails and see detailed analytics for each email you send out. Plus, for companies who have less than 2,000 email addresses and sends out fewer than 12,000 emails a month, it’s all free! Some of the software’s most useful features included A/B testing (so you can see which email subject lines, images, or templates work best), a time-wrap option (which adjusts the email delivery times depending on which country your subscribers are in) and an inbox preview feature so you can see how an email will look across multiple desktops or devices. If you enjoy a good checklist, then Asana could be the project management app for you. Projects or tasks can be prioritised easily with the easy-to-use interface, and you also have a dashboard chart to visually track your progress as you go. Invite your team members and assign them tasks, attach documents or files to projects and set up notifications that you want to receive. This app also integrates with a lot of different services, such as Google Drive, Mail Chimp, Slack, WordPress, Evernote, and more. Probably the most popular social media management app around, Hootsuite is good for businesses looking to use social media to raise brand awareness, while at the same time minimise the time and costs spent doing it. Supporting several different platforms, including Facebook pages, Twitter, LinkedIn, and Google+ you can monitor posts, schedule updates in advance, keep up to date with different hashtags and lists with custom feeds, and install a custom extension for your browser to share articles and posts directly from your own or other websites. It also has built-in analytics systems, which can be helpful if you are tracking your growth. The Pro and Enterprise plans give you even more features, depending on what level of service you’re after.